Darren Kelly, our Key Account Director was invited to attend the Hunters National Conference at York Racecourse last week. It was a really exciting event with speeches from a number of senior Hunters executives and an inspiring keynote session from guest speaker Baroness Michelle Mone OBE. Since 1992 Hunters has grown from one branch in York to over 200 franchises and 21 group offices right across the UK. 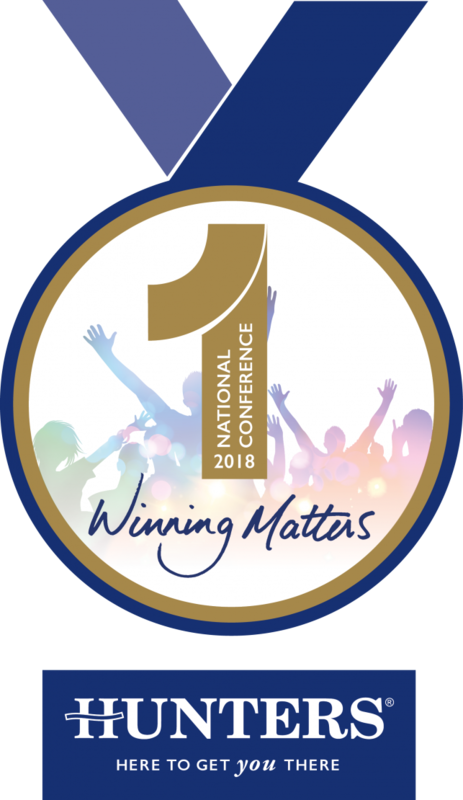 Each year over 300 guests including franchise partners, network colleagues and preferred suppliers make their way to York racecourse to learn, discuss and celebrate their successes, culminating in an awards dinner on the evening of the conference. 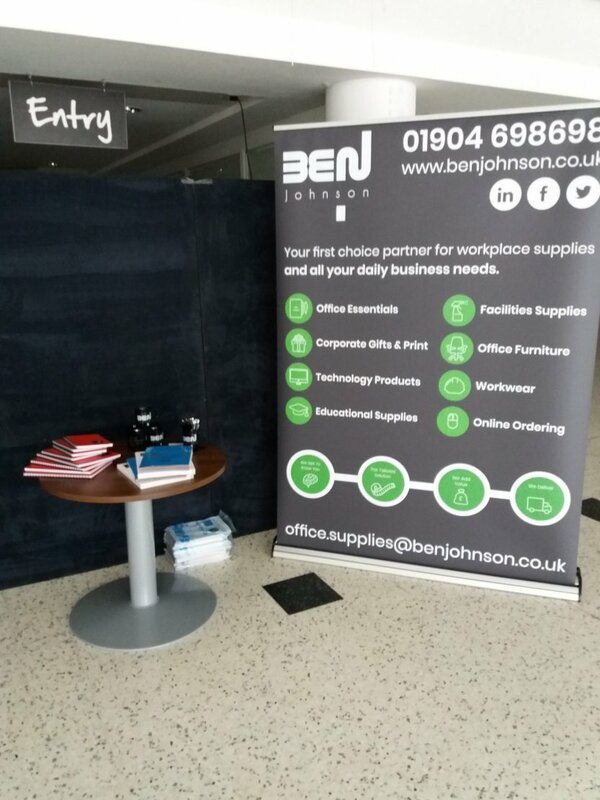 Ben Johnson Workplace Supplies were able to exhibit at the event amongst 49 of their other strategic suppliers, and we’re proud to say we are the first Workplace Supplies company ever to have exhibited in this way. It provided a unique opportunity to meet with the hard working staff of the group offices, in addition to the Franchise owners from offices nationwide. Clearly the networking opportunity was a huge draw for us, but we are also really proud to have been selected as preferred supplier by such a prestigious and successful business in its own right. Such an endorsement is a testament to our own hardworking team, great service and value for money and it is incredibly gratifying to achieve external recognition for what we already know! or would like to explore how we can provide excellent service, quality and pricing across several locations, contact our Workplace Supplies team today.